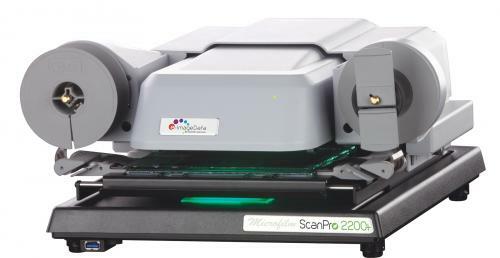 ​The ScanPro® 2200 Plus is a top-of-the line microfilm research tool with powerful capabilities. It has all of the important features used by researchers and archivists around the world to quickly and efficiently work with all microfilm types. Best of all, it comes at a price that is friendly to the budget-conscious consumer. The world’s leading universities and libraries choose the e-ImageData ScanPro for its proven track record of performance, ease-of-use, reliability and value.